In the early morning hours of Sunday, March 26, 2017, Florida lost a piece of its tangible history after the historic Stevens School in Quincy caught fire and burned. Join us as we delve into the Archives for a brief look back at the history of this community fixture which stood near Live Oak and Cooper streets for nearly 90 years. Stevens High School building in Quincy, Florida, built 1929. 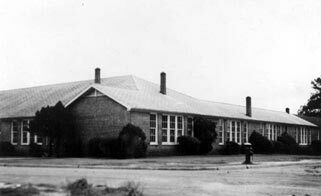 Originally known as the Dunbar School, the school first opened to grades 1-12 in the early twentieth century. 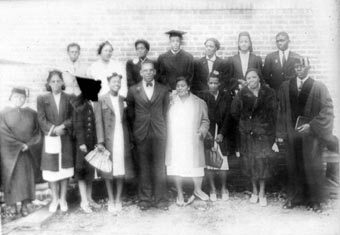 With funding for black education scarce in the Jim Crow South, the African-American community in Quincy received a contribution from the Rosenwald Fund to build the school. Illinois-based philanthropist and part-owner of Sears, Roebuck and Company, Julius Rosenwald, headed the organization. His concentrated largess helped build schools for African-Americans all over the segregated South, including dozens in Florida. 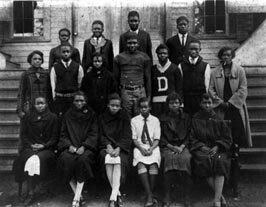 Dunbar High School class portrait, ca. 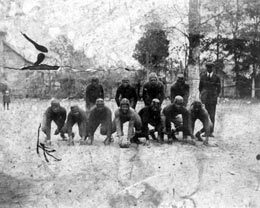 1928. . Dunbar High School football team, ca. 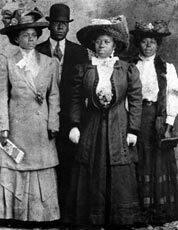 1910..
Dunbar soon caught the attention of the ambitious Dr. William Spencer Stevens, who saw potential in expanding the school. 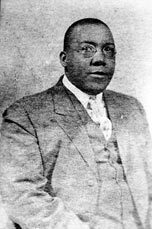 Born in Tallahassee in 1882, Stevens attended Florida State Normal and Industrial College before graduating from Meharry Medical College in Nashville, Tennessee. After medical school, Stevens moved to Quincy where he made history as the first African-American doctor to open his own medical practice in the area. Stevens also operated a community hospital for blacks as well as a drug store. However, Stevens’ success did not make him immune to the rampant racism pulsing through Quincy. According to civil rights activist Patricia Stephens Due, who grew up in Quincy in the 1940s, whites tied Stevens to a tree after he attempted to register black voters. Portrait of Dr. William Spencer Stevens, ca. 1906. Stevens served as city school supervisor from 1914 until his death in 1949.Wedding portrait of Dr. and Mrs. W.S. Stevens on February 8, 1910. Order unknown, included in the photograph are Mrs. W.S. Stevens, Dr. William Spencer Stevens, Mrs. Maggie Stevens, and Mrs. Maggie Proctor. In 1914, the doctor’s good standing in the community earned him the title of Supervisor of the Quincy City Schools. In this role, he sought to enlarge the reach of Dunbar High School and oversaw a four-year improvement project in the late 1920s. Locals were so pleased with Stevens’ work to install new classrooms and an auditorium in the building that they voted to change the school’s name in his honor.  According to an article printed in the September 19, 1929 edition of the Gadsden County newspaper, the new William Stevens High School building opened with a reported enrollment of 450 students. Stevens High School faculty, ca. 1940. Stevens High School continued to serve Quincy’s black students until 1955, when the school board replaced it and moved the students and faculty into the new Carter-Parramore High School building. In 1970, during a push to integrate segregated schools, the school board shut Carter-Parramore as a secondary school and repurposed it as a middle school. The original Stevens High School plant most recently housed an African Artifact and Cultural Museum. It was operated by Quincy native and civil rights activist, Priscilla Stephens Kruize. WCTV’s Lanetra Bennett reported that over one million dollars’ worth of historic material was lost in the blaze. Recently, the Florida Division of Historical Resources had recommended that the historic building receive grant funding for restorations in 2017-2018.